Reading and share top 1 Milissa R Bailey famous quotes and sayings. 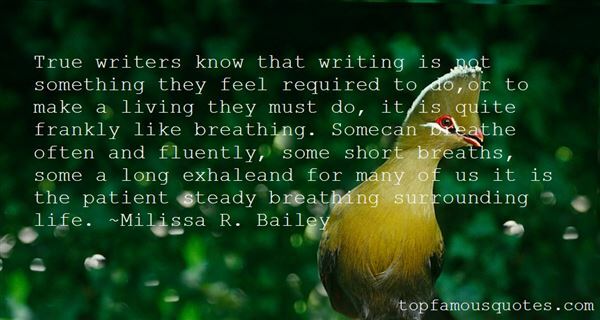 Browse top 1 most favorite famous quotes and sayings by Milissa R Bailey. TV was my hobby. I loved the glitz. I loved how hot everybody was."